With great anticipation, a new Vangelis-scored film arrived in 2012, albeit in very limited release. 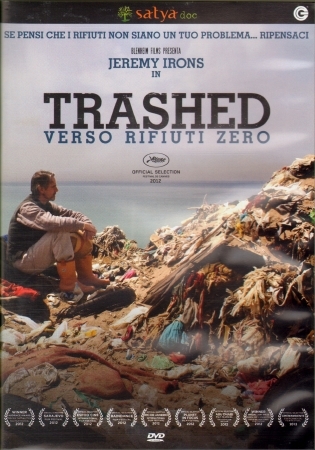 A Blenheim Films production, produced and directed by British filmmaker Candida Brady and narrated by Jeremy Irons, the documentary film focuses on the extent and effects of the global waste problem. 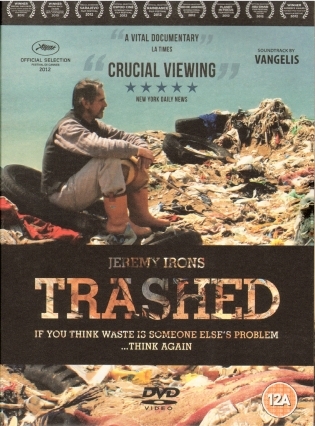 After viewing this film, and following the efforts of those involved at www.trashedfilm.com, the project clearly is a work of passion and concern for our planet. 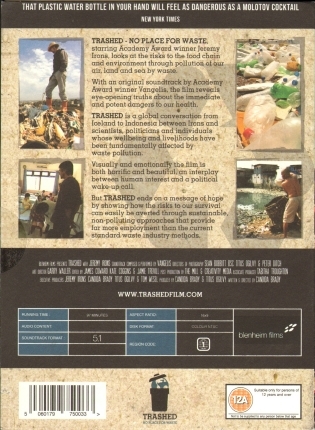 The hope is that those watching the film will make changes to reduce and even eliminate those products and methods that harm the planet. I know for my family, we now refuse to take or use any plastic bags at the shops. The score is excellent, and in most parts, resides in the background so as to not overwhelm the message. At the right moments though, the score is brought to the front. It would be interesting to have this score released, as there are some interesting compositions that we likely only hear small parts of, with Vangelis' keyboards predominately the focus. Some of tracks remind me of "The City".